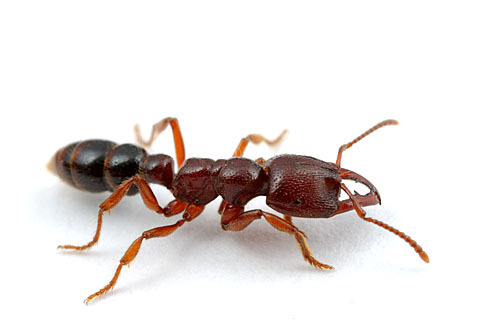 The online early section of Molecular Phylogenetics and Evolution this week has the first comprehensive phylogeny of a rather important genus of ants: Myrmica. Myrmica is ubiquitous in the colder climates of North America and Eurasia, with a few seemingly incongruous species inhabiting the mountains of tropical southeast Asia. 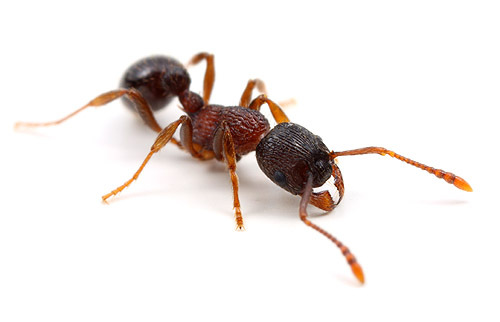 The genus contains about 200 species, many that are common soil-nesting ants in lawns and gardens, and at least one damaging invasive species, M. rubra. The taxonomy ranks among the most difficult of any ant genus, as workers of different species tend to be numbingly similar to each other. And there are a lot of species. The top-tier journal Nature doesn’t often deal in purely phylogenetic research. So when such a study graces their pages we know it’s big stuff. 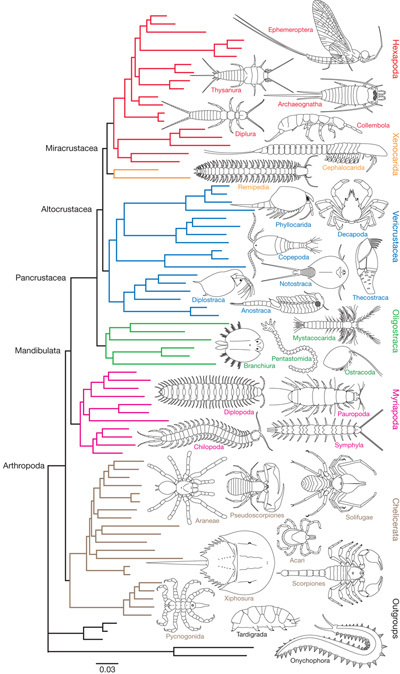 Yesterday, Nature published a 62 gene, 75 species analysis of the evolutionary history of the arthropods. Arthropods, as readers of this blog likely know, are animals with a chitinous exoskeleton and jointed legs. They include the insects, arachnids, crustaceans, centipedes, and others. This is a staggeringly diverse group, and one found just about everywhere on the planet. Most animals are arthropods. This study has been in the works for many years. Jerry Regier’s lab at the University of Maryland has been diligently developing protocols for extracting single-copy nuclear DNA from across the arthropods, and the work has paid off handsomely. They have created the largest and most relevant data set yet assembled for addressing the hard questions in arthropod evolution. This is exciting! Today is like Christmas for arthropod systematists. Amblyopone australis: a primitive ant? 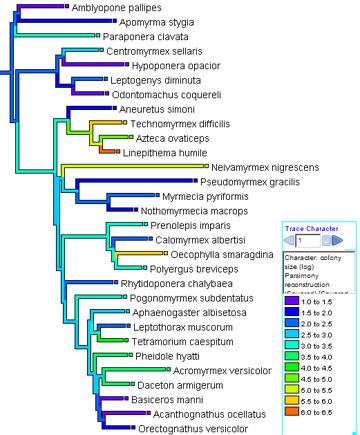 Earlier I chastised Christian Peeters and Mathieu Molet for misinterpreting the term “basal” in a phylogenetic context. What was that about? Let me preface this post by saying that Christian Peeters is one of my absolute favorite myrmecologists. If lost in a remote African jungle and stalked by ravenous leopards, for example, Christian is the first ant guy I’d pick to help get me out of the predicament. Having said that, this paper in Insectes Sociaux is so bad I nearly gouged my eyes out and ran around in little circles screaming and flailing my arms. Nonetheless there exist extant ants with relatively simple societies, where size-polymorphic workers and large queens are absent. Recent phylogenies show that the poneroid subfamilies Amblyoponinae and Ponerinae are basal (e.g. Brady et al., 2006 ), i.e. closer to solitary vespoid wasps. Ten points to the first person who can explain what’s wrong with it. Here’s an issue that’s been on my mind as I’m shuffling trees around from several concurrent phylogenetic projects. 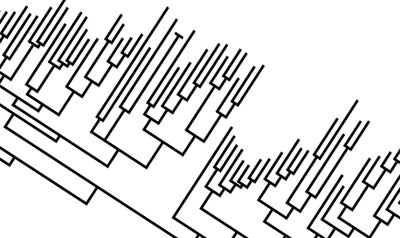 The primary output from phylogenetics programs is tree diagrams depicting the relationships among organisms. Very clean, very crisp, very precise diagrams. Precision isn’t in itself a problem, but for the human foible of mistaking precision for accuracy. I’m not interested in a precise estimate of evolutionary history so much as a correct one. I’m reminded as much when I see my estimates change from one precise conclusion to another as I add more data from more species. The razor-sharp output from the algorithms is seductive.